Need Car Service for the 2019 Barrett-Jackson auction? The event will take place at Westworld of Scottsdale. Arrange a Ride can provide limo service between the Phoenix or Scottsdale airports and the event. If you need a car, limousine or SUV to get around, we can get you there in style. See our fleet HERE. For more information about the Barrett-Jackson Auction or to purchase tickets to the event, click on the button below. Need Car Service for the 2017 Barrett-Jackson auction? The event will take place at Westworld of Scottsdale. Arrange a Ride can provide limo service between the Phoenix or Scottsdale airports and the event. If you need a car, limousine or SUV to get around, we can get you there in style. See our fleet HERE. The ASU Sun Devils are about to embark on a new season. Coach Todd Gram’s winning record over the past four years has proven his commitment is to coach up Sun Devils players to be the best they can be on and off the field. Last season the Sun Devils outscored their opponents, out rushed, had more first downs and more yards per carry. Hopes of a PAC 12 Championship are high for 2016. With their new dynamic talent the Sun Devils are sure to be a contender. 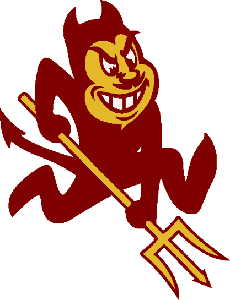 Come cheer the Sun Devils in their pursuit. Arrange A Ride is offering game day specials on all charter transportation rentals. Call for details. 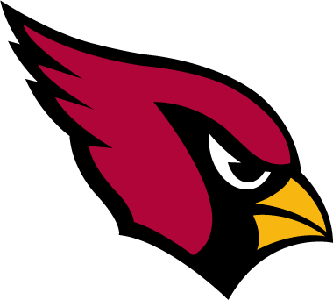 Founded as the Morgan Athletic Club in 1898, the Arizona Cardinals are the oldest continuously run professional football team in the United States. The Cardinals rolled through the competition last year with their strongest win loss record in history, and the NFC West Division Championship with 13 wins 3 losses. Unfortunately, the Cardinals experienced a disappointing loss in the NFC Championship and fell short of making the Superbowl. It’s a new season, and new hopes of glory abound. Under the direction of Head Coach Bruce Arians the Cardinals are favored to be the top contender for a 2016 Superbowl Championship. Their offense is conducted by the Mozart like 14-year veteran quarter back Carson Palmer. Carson had a phenomenal 2015 season completing 35 TD passes for a total of 4671 yards, posting his best ever QBR of 104.6. Backed by an incredible offense full of talent with stars such as Larry Fitzgerald, David Johnson and Michael Floyd, Palmer is poised to have another fantastic year. The defense is packed with beefy veteran Superstars such as Calais Campbell, Mike Iupati and Patrick Peterson whom are boiling over with a hunger for revenge from the 2015 NFC title loss. Come out and cheer Cardinals fans, this is the year the Red Sea will rise up in victory. Arrange A Ride Transportation is now accepting reservation for all Cardinals Home games. Book one of our Luxury Limousines for your party. Arrive in style and enjoy the entire day without the hassle of parking, or worry of a DUI after you’ve had a great day cheering on your team. Charter two or more games of same the vehicle type and receive a 20% discount. Transportation to the Scottsdale Arabian Horse Show. Need Transportation for the Scottsdale Arabian Horse Show? The event will take place at WestWorld in Scottsdale. Arrange a Ride can provide limo service between the Phoenix or Scottsdale airports and the event. If you need a car, limousine or SUV to get around, we can get you there in style. See our fleet HERE. For more information about the Scottsdale Arabian Horse Show or to purchase tickets to the event, click on the button below. Need Car Service for the 2016 Barrett-Jackson auction? The event will take place at Westworld of Scottsdale. Arrange a Ride can provide limo service between the Phoenix or Scottsdale airports and the event. If you need a car, limousine or SUV to get around, we can get you there in style. See our fleet HERE.